To share a client report you share the relevant mandate, share class, performance and other attached objects. When it comes to sharing client information you want to be certain that only the right people have access to it. 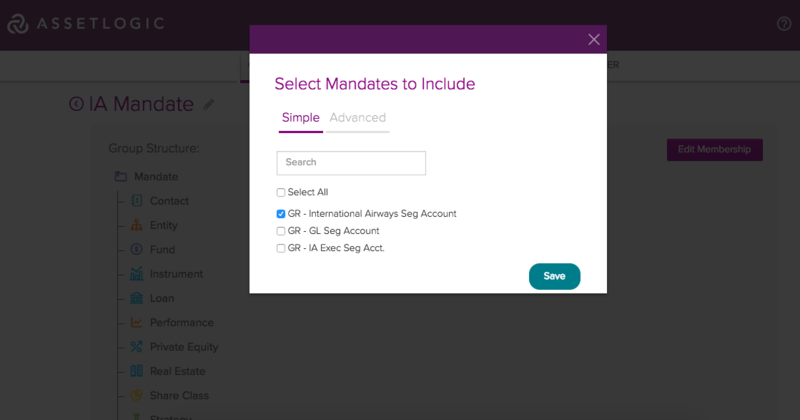 In AssetLogic you do this by setting up a Mandate Group. In the Group you select all the objects you would like to share that are related to the mandate. How can I upload a client report? What fields are available for client reporting?